New Horizon Farms traces it’s beginning in pork production back to September, 1993. 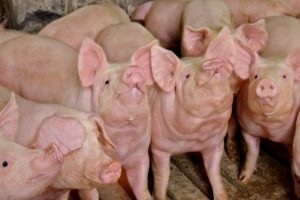 The acquisition of a sow farm, Global West and a nursery facility, Global East was at that time under the company name of Global Ventures located in Rock County, Minnesota. The 1,200 head West sow operation weaned approximately 650 pigs a week into the East nursery farm. A feed mill site was part of the original purchase. The mill had burned prior to Global Ventures purchasing it. 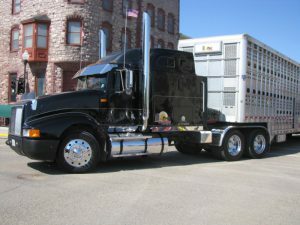 Soon after the purchase was finalized, a feed mill was rebuilt on the same site and was up and running in June of 1994. The new feed mill required a new truck with a feed box and original employees would manufacture and deliver the feed to various sites making as much as 50 tons of feed a day. The hog market crashed in 1998, and this left many area producers in a tough financial position. 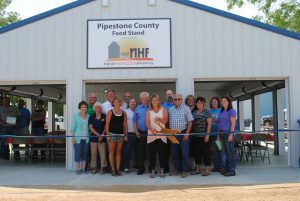 Often in tough times, business opportunities present themselves, and because of that, the company purchased the Whitewood and Applewood sow farms and expanded the pork production side of New Horizon Farms. As the years passed, more acquisitions were made and farms were expanded. Today, New Horizon employs over 150 hardworking individuals across three companies; New Horizon Farms, New Horizon Feeds and New Horizon Grain. At present, New Horizon Farms has 16,500 sows housed in five sow farms. New Horizon Farms includes six nurseries that have the capacity of 57,000 head at one time. There are sixty finishing sites located across southwest Minnesota, eastern South Dakota and northwest Iowa that can finish 128,000 hogs. The facilities are state of the art with both natural and tunnel ventilation and deep pit designs. Annually, New Horizon Farms markets over 430,000 hogs to JBS Swift and John Morrell. In addition, New Horizon Farms is home to four research facilities that are used to look at new production technologies and the wellbeing of our animals. These capabilities will help ensure New Horizon Farms is an industry leader well into the future. New Horizon Grain was formed in 2012 with the purchase of Prins Feed & Grain. This acquisition allowed the company to become basic in grain origination which secured a major feed ingredient, corn, for the company. 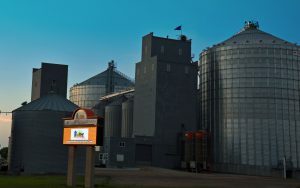 Today New Horizon Grain operates one location in Pipestone, MN and can store 3.1 million bushel of grain. New Horizon Grain markets corn to both internal and external customers, and sells soybeans for processing which also provides trucking for crop inputs back to the local market. From the humble beginnings of hauling 50 ton of feed a day with one truck to what the mill has become today, New Horizon Feeds has truly expanded. 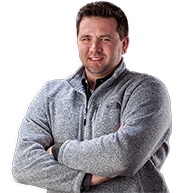 The mill now manufactures and delivers 600 tons daily, over 150,000 tons a year, with six 27 ton semi-trucks and one eighteen ton truck throughout southwest Minnesota, eastern South Dakota and northwestern Iowa. Currently New Horizon Feeds has the capacity to manufacture 60 to 65 tons per hour of complete mash feed. New Horizon Feed’s milling partners include Cargill Animal Nutrition, NutriQuest, Visser Elevator and Farmers’ Cooperative Society, all of which serve the business with unique solutions. 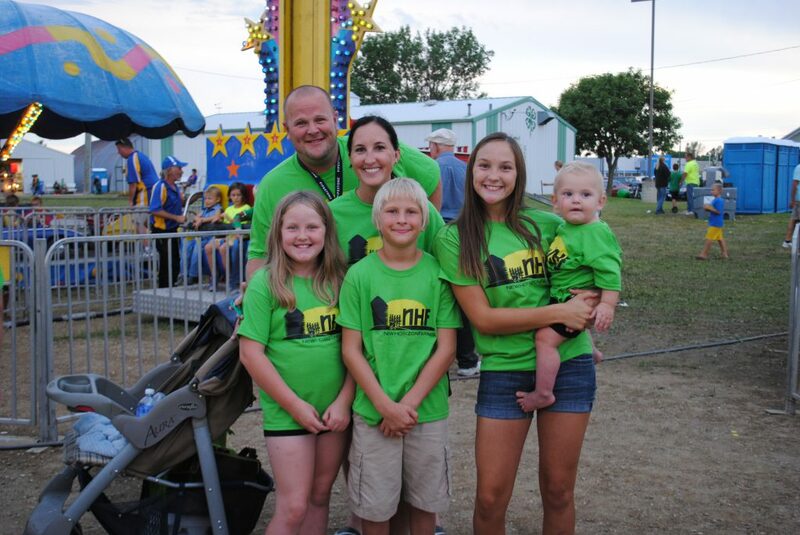 New Horizon Farms works hard to produce quality pork, but the company also gives others around us the chance to make the most of their farming operations. The company provides our agricultural community opportunities for employment, marketing and working side by side on many business ventures. New Horizon Farms is a community based organization and believes in being a positive force where its business is conducted. All of the New Horizon entities are civic minded and give back to local organizations and people who help New Horizon Farms to be successful. New Horizon Farms continues to raise the standards in pork production.